Choose your favourite Justin Trudeau quote and we'll turn the top pick into a brand new design. After you vote, donate $100 or more and we'll send you one as soon as they're ready in April. Vote on our spring T-shirt! Spotted! Our Youth Director & Young Liberals of Canada in British Columbia Representative volunteering at the registration desk. The Hon. Harjit Sajjan, Minister of Nation Defence speaks to Liberals ahead of the plenary session. Photos from the Liberal Party of Canada in BC Biennial & Policy Convention. 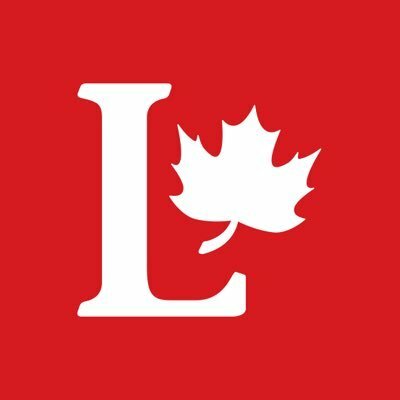 We are pleased to announce the 2016 Liberal Summer Leadership Program, a paid opportunity for youth to join the Liberal Party of Canada | Parti libéral du Canada National Office in Ottawa, Provincial/Territorial Association Offices, and with the Liberal Team on Parliament Hill to bring #RealChange across Canada. The application deadline to apply is March 18th 2016. The program will begin May 9th, 2016. Young Liberals of Canada / Jeunes libéraux du Canada and students at Capilano University are invited to apply. Questions, comments, concerns, and queries are always welcomed. Give a call or shoot us a text at +1 (604) 334-2217! Apply for the 2016 Summer Leadership Program! Checkout our Aboriginal Peoples' Commission | Commission des peuples autochtones Representative, Sheryl Fisher Rivers, posing with Margaret Trudeau at the SFU Alumni Association Awards on Thursday! Have you seen the new official photographs of Justin Trudeau? We have, and we think they're great! Our monthly EDA executive meeting has called to order. Want something discussed? Shoot us an SMS message at +1 (604) 334-2217 and we'll respond in real time. The Liberal Party of Canada | Parti libéral du Canada will be sending one lucky Canadian and their guest to Washington, D.C., airfare and hotel included, for two #Canada2020 events. Donate by tomorrow evening to be entered to win! We're ready. The Honourable Catherine McKenna will be arriving shortly. Will you be joining us tonight? Don't forget to RSVP if you are! Today is your last chance to secure your ticket to next Tuesday's talk about tackling climate change Canada's way by The Honourable Catherine McKenna, Minister of the Enviroment & Climate Change. Get in before it's too late! We’re looking back at the achievements of Justin Trudeau and his new government after their #First100 days in office. Tell us – which one makes you the most proud? Today is your last chance to save $125 on your ticket to the #LPCBC Biennial and Policy Convention. Join our delegation to highlight the ideas, goals, and team that unify and inspire us as the Liberal Party of Canada in British Columbia. Delegate intent forms for the Liberal Party of Canada in British Columbia Biennial & Policy Convention are due tomorrow! In order to attend the convention as a delegate you must be a member of the Liberal Party of Canada | Parti libéral du Canada by February 26th, 2016. Submit your intent to stand for election as a delegate today! The Young Liberals of Canada / Jeunes libéraux du Canada has a long record of innovative policy work. Join the Young Liberals of North Vancouver and continue fighting for Canadians. The Aboriginal Peoples' Commission | Commission des peuples autochtones of British Columbia President and #NorthVancouver Representative, Sheryl Fisher Rivers, met with The Honourable Dr. Carolyn Bennett, Minister of Indigenous and Northern Affairs, at the Indspire Awards Gala in Vancouver on Saturday evening. Today marks 100 days in office for Justin Trudeau and the Liberal Party of Canada | Parti libéral du Canada. It may not seem like long, but in that time real change has come to Canada in some very concrete ways: • We restored the long-form census, so communities like #NorthVancouver can have access to the high quality data they need to best serve your needs. • We took steps to reform the Senate which is now accepting applications from Canadians across the country as part of a new, non-partisan, merit-based, selection process for new Senators. • And, last but not least, starting in 2016 taxes are going down for the middle class, while they’re going up for the wealthiest 1 percent, because when the middle class is strong, all of Canada is strong. That's just a small glimpse of what #RealChange looks like. It's been an exciting first 100 days, but there is so much more work to do. Under Justin Trudeau’s leadership, we have re-imagined and rebuilt the Liberal Party of Canada | Parti libéral du Canada into an organized, data-driven and people-centred movement. Jonathan Wilkinson addresses supporters at the Dialogue on Climate Change in North Vancouver. Thank you to everyone who came out. This year, #BCFamilyDay comes at a time when 1 in 8 Canadian families struggle to put food on table. The Liberal Party of Canada is committed to giving families more money to help with the high cost of raising their kids. Learn how much you will save under the proposed Canada Child Benefit. Did you know mail may be sent postage-free to any Member of Parliament? Time to break out the pens, pencils, and writing utensils! In order to attend #Winnipeg2016 you must become an official delegate by first submitting your intent to stand. While Finance Minister Bill Morneau is travelling the country to meet with Canadians, the Liberal Party of Canada | Parti libéral du Canada is holding its own distinct consultation, and we want you to be a part of it. We're asking you to take 5 minutes and complete our online Your Say: Budget 2016 consultation survey. In doing so, you'll make sure that your voice is heard when the government goes to draft the budget. Join us for another fun Pints and Politics on the North Shore on August 27th at Pier7 starting at 5:30pm. Please feel free to bring a friend! Come by our table at the Capilano Mall Nowruz Market! Our Pints and Politics is about to start...Come down to PIER 7 restaurant + bar to meet fellow North Vancouver Liberals.